The Club was well represented with Jim, Garven, Bernard, Mairead and Conor at the Sluice/Stackallen Rodeo. In the “Mens Sport Class” (club Freestyle coach) Conor finished with First place proving the Adage that “Class is Permanant” when you consider he has been away from paddling for over 6 years and only recently returned. He is going to be a great asset to the Club, he recived great prizes presented by AD at the Prizegiving in the Arc Bar last night. In the “Master Class” the Club was represented by Mairead, myself, Jim and Garven, each and everyone putting in a great shift, with in particular Garven showing he has great potential and I predict the Club will have at least 1 member representing us in an International Competition in the Future. The result was a closely guarded secret and when Adrian called a well deserved Mairead in Third place it was expected that it was down to the wire for 1st & 2nd between myself and Garven, however when Adrian called out in second Place ” Richard Reid of Wicklow” poor Adrian could hardly hear himself over the DIN of the crowd when it was realiased that either myself or Garven possibly had not placed, however when Adrian could finally be heard and announced that myself and Garvens scoring couldn’t be seperated and announced that we had in fact finished in “JOINT 1st”. It was at this point we took the opportunity to present Adrian with a belated Birthday Cake. So well done to One and All, and I can only hope that more of you participate in Freestyle for when you see the instinctive reactions of paddlers in such a feature this can only help when Running rivers . The 52nd Liffey Decent was held on the 8th of October after being postponed for a month due to poor water levels. Once more a few of our members took part in the event and a bunch more helped out with rescue at Lucan Weir. The numbers of participants was slightly down due to the move but the weather was good and the crowds still showed up for a great event. We even got a very nice thank you note from the organisers. 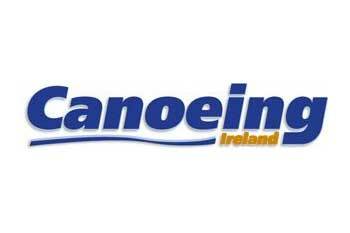 The Irish Canoe Union would like to extend its thanks and gratitude for your assistance in organising rescue for the 2011 Liffey Descent. Without your commitment to coordinating and providing rescue a race of the size, quality and safety of the Liffey Descent would not be possible. Please extend our largest thank you to all members of your rescue crew from us the Irish Canoe Union and from all of the competitors who entered the race and finished safely on the day. The high quality of the rescue provided this year was commented on at several occasions by many paddlers following the race. Thank you once again, and hope to see some, if not all, of you again next year! I too looking forward to seeing more of our members taking part and helping out again next year.